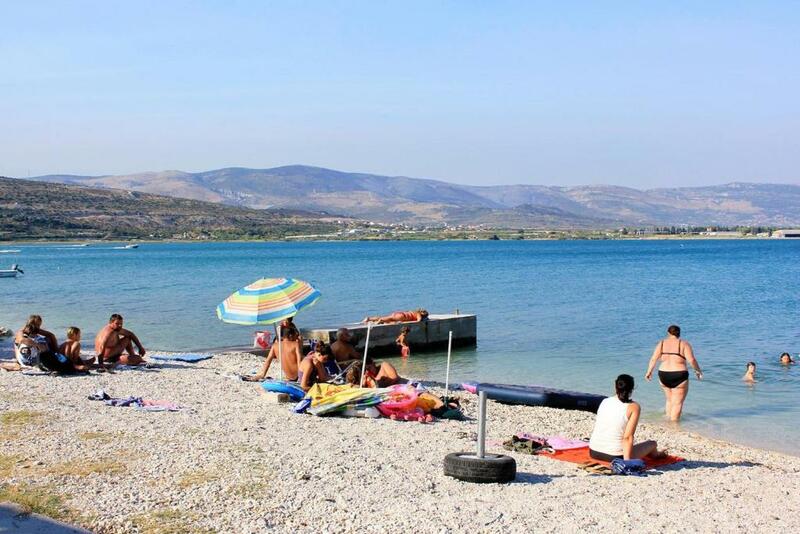 Studio Arbanija 13298d is located in Trogir, just 3 miles from Trogir Bus Station. Each room at this guesthouse is air conditioned and is fitted with a TV with satellite channels. Each room is fitted with a private bathroom. The Cathedral of St. Lawrence is 3 miles from Studio Arbanija 13298d, and Radovan's Portal is 3 miles from the property. The nearest airport is Split Airport, 1.9 miles from the property. When would you like to stay at Studio Arbanija 13298d? This studio features a balcony, kitchenware and stovetop. LOCATION AND ACCESS: Facility is situated near a local road. Main road between the property and the beach. Car access possible: Yes, Narrow street. The facility is situated in relatively quiet surroundings. The facility is partly surrounded by vegetation. House Rules Studio Arbanija 13298d takes special requests – add in the next step! Studio Arbanija 13298d accepts these cards and reserves the right to temporarily hold an amount prior to arrival. We need at least 5 reviews before we can calculate a review score. If you book and review your stay, you can help Studio Arbanija 13298d meet this goal.